Getting a child to read the required reading can be difficult. Tracking the time they invested can be even harder. Don’t throw reading time into a giant black hole though. 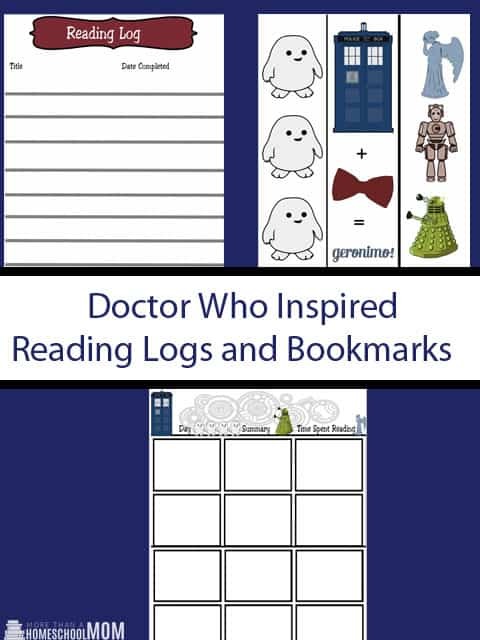 I put together this great set of Doctor Who Inspired Reading logs and bookmarks for you. Don’t miss out on the free Doctor Who printable just for you. The school year is in full swing. 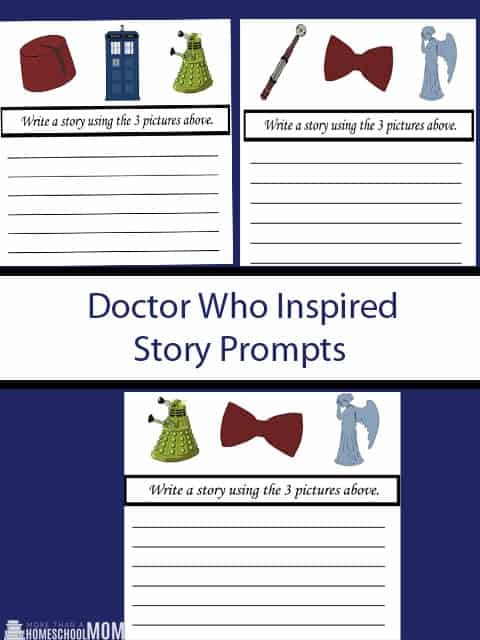 I have put together a great pack of Doctor Who Inspired Story Writing Prompts for you. These are great ideas to help get your child writing even if they don’t love it! I can just imagine the stories your children with write with these small encouragements! After all, who wouldn’t love a story involving a fez, a dalek, and a T.A.R.D.I.S.? I know I would! Are your children having a hard time with their Math facts or number recognition? 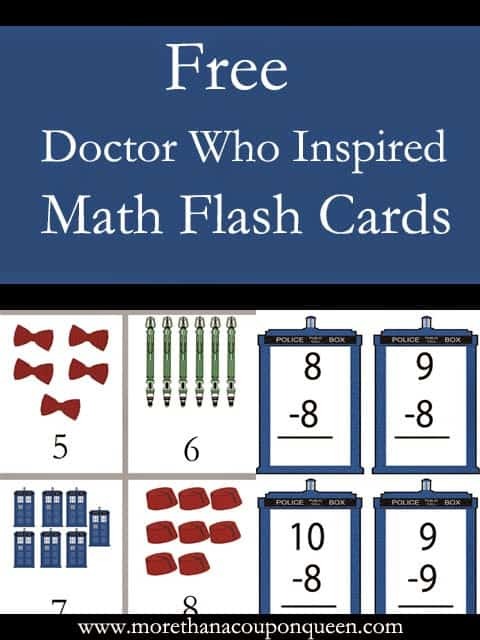 I have put together some fun Doctor Who Inspired Math flash Cards just for you. Even better, they are free. My only request is that you share them with your Doctor Who loving friends if you like them. I will put links below for each set. I highly recommend laminating them so they will last you long term.